n 1964, on the recommendation of the Historic Sites and Monuments Board of Canada, Kodlunarn Island was designated a site of national historical importance. However, that was thirty-five years ago, and for most of those years little was done to research, protect, and preserve the site. In 1974, the late Walter Kenyon of the Royal Ontario Museum determined that the four hundredth anniversary of the Frobisher saga should not pass unnoticed. To mark the occasion he spent some two weeks visiting Kodlunarn and neighbouring Frobisher sites. His subsequent publications recalled the attention of the research and scholarly community to this long-ago happening. "carefully controlled in order to preserve the limited archaeological resource as well as the quality of the historical environment. Proponents of research projects should be required to demonstrate that the proposed work can be expected to result in the recovery of information which significantly outweighs the detrimental effects on the sites investigated." This assessment galvanized the Canadian Museum of Civilization into action. 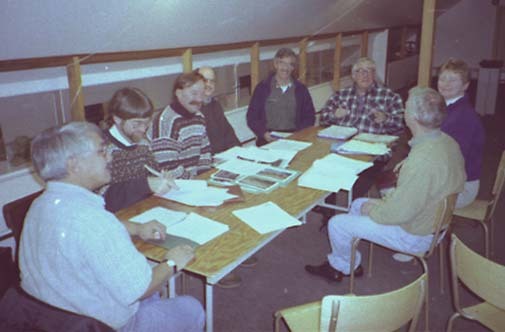 In 1990 it took the lead in the establishment of an advisory committee to recommend to it, and to other interested bodies, the most appropriate steps to be taken in investigating and preserving the sites associated with the Arctic expeditions of Martin Frobisher. This project was called the Meta Incognita Project, recalling the fact that the first Queen Elizabeth gave the name Meta Incognita, the Unknown Shore, to the area on which these expeditions focussed. The advisory committee, soon dubbed the Meta Incognita Project Committee, was asked to guide the development of a programme of conservation, research and communication relating to the Frobisher sites, and to co-ordinate the efforts of institutions and individuals involved in this work. It was to identify research needs and to promote a better understanding of Frobisher's activities in the Arctic. 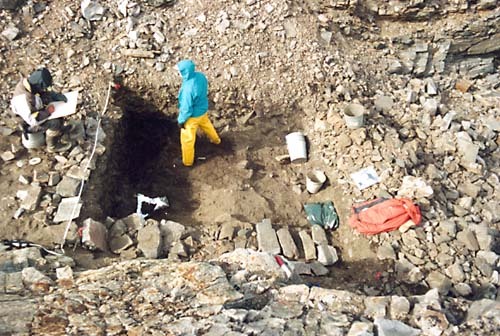 The Committee was also to advise the Government of the Northwest Territories on the granting of archaeological and scientific permits for research in the region. It was hoped, too, that the Project would add to the store of knowledge and understanding about broader environmental, historical and cultural matters in the region. To this end, the Meta Incognita Project Committee included representation from the northern community and from government bodies, at both the national and territorial levels, which have responsibilities for archaeological investigation and for site preservation and development. Over the decade since its inception, the Committee has had the strong support of the Prince of Wales Northern Heritage Centre and the Government of the Northwest Territories, of the emerging Territory of Nunavut, and of the Historic Sites and Monuments Board of Canada and of Parks Canada and the Department of Canadian Heritage, as well as of the Canadian Museum of Civilization. It has had, in addition, considerable support both from many individuals and from institutions in Canada, the United Kingdom, the United States and elsewhere, including, most notably, the Smithsonian Institution in Washington. 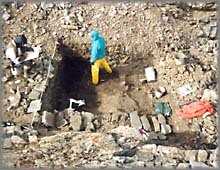 Much of the ensuing research centred upon Kodlunarn Island, Frobisher's principal base camp, and on nearby sites with which the Frobisher expeditions were involved. 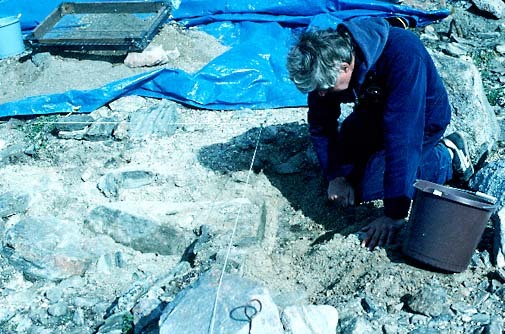 This began with an archaeological survey in the summer of 1991, led by Robert McGhee and James Tuck working on Kodlunarn, and by William Fitzhugh working at other locations (the latter resumed the following year). 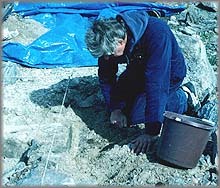 Subsequent expeditions in 1993 and 1994, led by Dr. Réginald Auger, investigated particular questions through limited excavations on Kodlunarn and gathered data on the threat to the island from erosion or human disturbance. The Meta Incognita Committee recognized from its inception the need for extensive archival and related work at the sources in Britain to complement the archaeological, oral history, and other work done on site in Canada. The Project was extraordinarily fortunate that Sir Ian Gourlay consented to organize and to lead this operation, assembling a remarkable group of scholars who together broke much new ground tracing the records and researching the history and context of the Frobisher venture. In the course of its work, the Meta Incognita Committee arranged or supported a number of gatherings to facilitate the work of researchers in the field. The principal of these was the Meta Incognita Symposium held at Trent University in May 1997, one of the most substantial gatherings of scholars concerned with the history of the Canadian Arctic yet assembled. 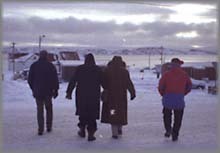 Subsequently, in November 1997 the Committee held public meetings in Iqaluit to report on its work to interested members of the community. As one of its final acts, the Committee will prepare recommendations to government agencies regarding future scientific investigation and the long-term requirements for managing, protecting, and interpreting the historical sites. These sites are important to Canada's national heritage and need to be preserved for future generations. Thomas H.B. Symons, C.C., F.R.S.C.